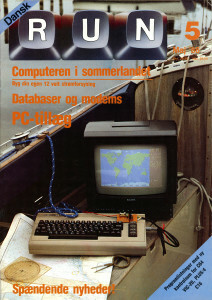 Next issue of the Danish Run is now added, Issue 16, Nr 5 May 1986. Thanks to Thomas Viborg who lend this magazine to me. This entry was posted in IC Run and tagged commodore, magazine by Carsten Jensen. Bookmark the permalink. Carsten is a Commodore enthusiast with the goal of preserving as much Commodore information as possible, whether it being hardcopy or digital. Besides scanning for this site, he also dumps tapes and disks for preservation and contributes to the TOSEC database.